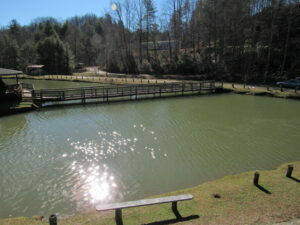 Our 1 acre, architecturally designed fishing pond is stocked with carp and catfish. Bring your own rod or rent one from us. Bait and tackle is available for purchase as well. 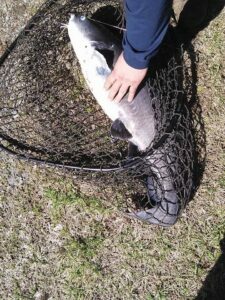 Carp and catfish are catch& release. Be sure to bring your hiking boots. Nestled among 90 acres you will find several hiking trails on site. We are very close Pisgah National Forest, DuPont State Forest, Gorges State Park. Enjoy these beautiful North Carolina hiking trails. Our friendly & knowledgeable staff will be more than happy to point you in the right direction. Our outdoor recreation area is complete with an outdoor swimming & wading pool available for resort guests only. 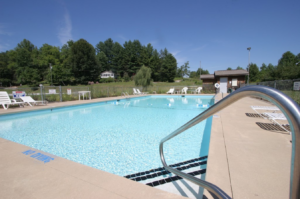 The recreation area is located adjacent to the fishing pond and within walking distance from the Village office. 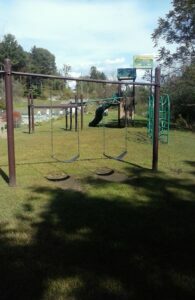 Kids will love our active playground. Children must be accompanied by an adult at all times. There are no lifeguards on duty.